October 31st is my most feared day of the year. It’s bloody Halloween and I absolutely dread it. When I was a child Halloween was just an innocuous date on the calendar that passed without notice. Halloween used to be perfectly fine, a non event. Then our inexorable march towards Americanization screwed things up such that we are now forced to endure the yearly ritual of the infernal “trick or treat” brigades. These days, I almost literally live in fear at home approaching the evening of October 31st, fear waiting for knocks on the door to be faced by swarms of Satan’s Little Disciples demanding sweets with menaces. I suspect that our big commercial organizations were mostly to blame for promoting trick or treat as a fun thing to do. They have a vested interest, after all. Now, in the same vein as my other pet dislike, Christmas, the shops fill up with Halloween costumes, along with otherwise useless (i.e. unsalable) pumpkins, both of which the parents of the trick or treaters must buy, and vast quantities of tooth-decaying sweets and chocolates of various descriptions which the victims of the trick or treaters are expected to buy in order to placate the little monsters. How many sweets is one expected to buy? How many groups will arrive and what size will each group be? Are we going to have enough sweets? How many otherwise unwanted sweets will we be left with? One year, we had a basketful of chocolates waiting by the door, only to have nobody turn up – it was probably raining and I was greatly relieved. The real winners are the commercial organizations catering for the nonsense. I object to the commercial pressure to join in and I object to the psychological pressure placed on me by my peers to join in. A phrase such as “I can’t stand Halloween” is frequently met by the All Hallows’ Eve equivalent of the “bah humbug, you old Scrooge”, that is typically slung at folks who dislike the commercial claptrap of Christmas. At least for Christmas, we are being pressured into spending money on our own family. Halloween forces us to spend money on unwanted products for complete strangers. Just say NO to Halloween! We said no to Halloween this year by organizing an evening away in a hotel. This is a depressing time of year, anyway, for those of us with an interest in insect life but one saving grace can be autumnal colours. 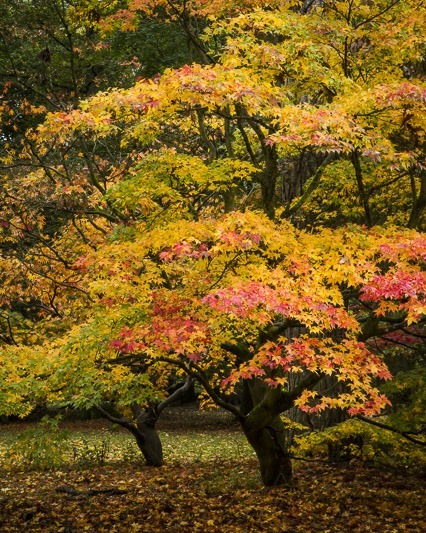 Carol enjoys an autumnal photographic expedition to Westonbirt Arboretum with its impressive display of Acers. Westonbirt is about a 90-minute drive away, so could be done easily as a day trip, but it’s in the same direction as another venue that we’ve long wanted to visit, the Wildfowl and Wetlands Trust centre at Slimbridge. Migratory birds are another saving grace of autumn. So, our plan was a night away in peace between visits to these two venues. We booked into an hotel in Tetbury, packed our gear and set off. There’s another gotcha that I’d forgotten around bloody Halloween, bloody half term. 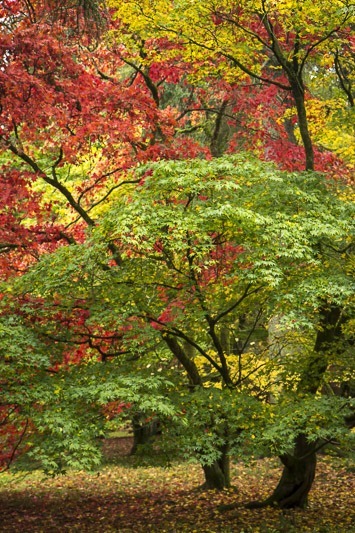 Westonbirt is always busy at this time of year but today the ratio of kids to adults had increased noticeably. So had the noise levels. It’s always a challenge getting photographs of the autumn colour unpolluted by people but today there appeared to be some kind of event organized to engage the little ones. Despite my own reticence to get near kids, I think this was a great idea; I’m all for getting the little monsters more in touch with nature ‘cos they mostly grow up into acceptable adults and our nature will need their support. This event, I suspect, involved collecting leaves of different shapes and colour, and, with kids rushing at trees to grab said leaves, this made photography extra difficult. 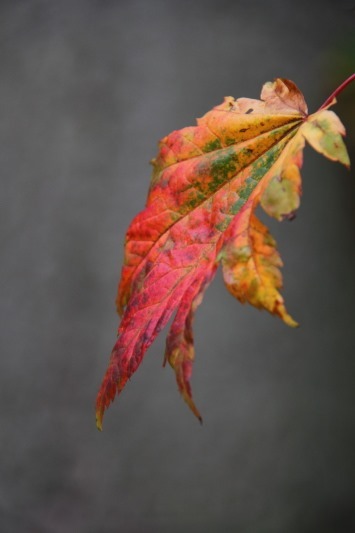 Nonetheless, we wandered around, selected targets, stood patiently for several minutes at a time and eventually managed a few shots attempting to capture nature’s colourful autumnal splendour. The colours actually seem a little later this year compared to our previous visits and there was quite a bit of green still around. Actually, in some cases, the green made for a pleasant contrast. 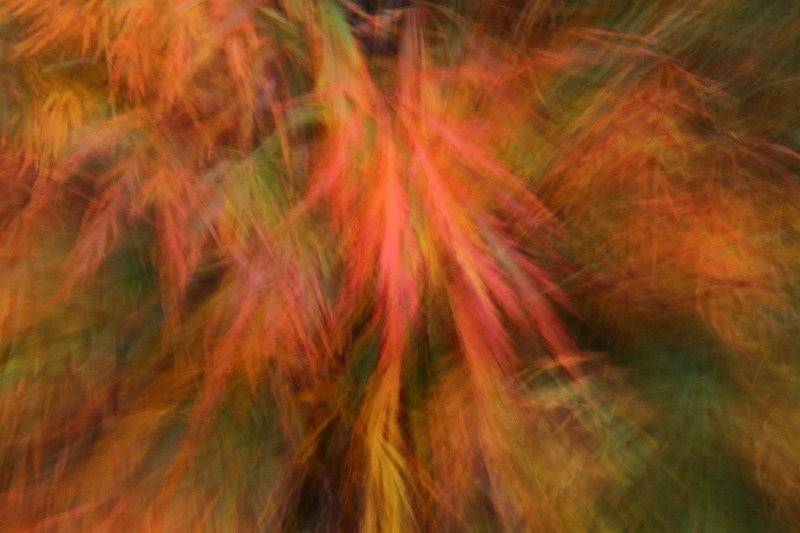 An abstract approach can produce an interesting image but I find it largely a matter of luck – must practice.